"Inspirational Teachers for Inspirational Dancers!" Patrizia Reggiani has affluent background in the dance world that spans 20 years as a professional dancer for stage and television in Italy. Ballerina, Jazz, Contemporary and Modern dancer, highly experienced and qualified teacher, national competition coach, choreographer and stage director; "Passion, Professionalism and Technique, are my strength!" Patrizia’s original training & teaching diploma is in the Vaganova technique at some of the most prestigious schools in Italy; Accademia di Danza, Vercelli, Accademia di Danza Novara and IALS Dance School, Milan. She went on to teach in the best schools in Rome, Milan, and Vercelli and later chose to broaden her international teaching skills with RAD, ISTD and IDTA affiliation which brought her to London a couple of years ago. She has an in-depth knowledge of the human body and bio-mechanics necessary for superior teaching and an encouraging, enthusiastic nature that students aspire to. Amid her other teaching in and around the city, Patrizia is very excited to be a part of the Inspire Ballet & Dance team and to share all her wonderful knowledge! 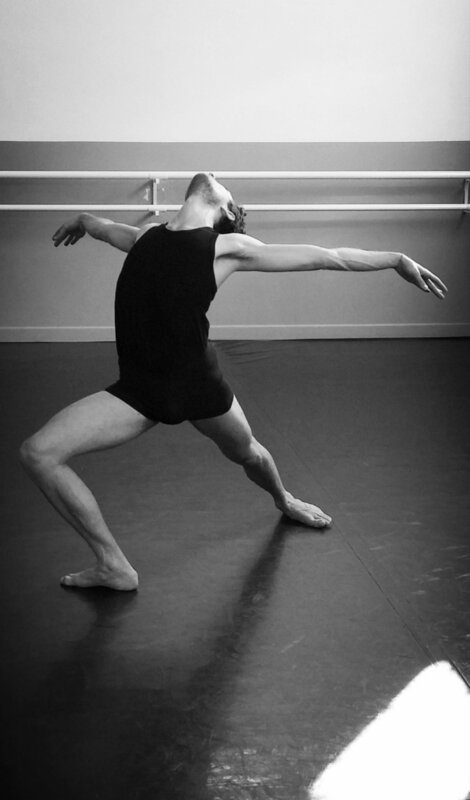 Simone Pinchera is an Italian dancer from Rome who started dancing age 9 at the Rome Opera House's Dance School. He went on to study at the highly aclaimed National Dance Academy in Rome and in 2015 he graduated with the highest possible achievement in classical ballet dance, with the maximum vote (110 with honour/110). Simone has performed many ballets including “The Nutcracker”, “The Sleeping Beauty”, “Petruska” amogst others with the Rome Opera House's ballet company. Simone has been passionate about the performing arts since he was a very young child and has delved in to acting and television too. Simone has delved in to teaching ballet internationally over the past 2 years. He has a great patience and clamness about him which he combines with his valuable experience as a dancer taught by many of the greats himself, eager to pass on his knowledge and expertise to others. Zoe has just graduated from The Royal Ballet School's Vocational Teaching Course and Trinity Diploma of Dance Teaching and Learning with Distinction. She previously danced professionally for four years with The Romanian National Ballet under the directorship of Johan Kobborg, performing in ballets such as La Fille mal Gardee by Ashton, Macmillan's Manon and Theme and Variations by Balanchine. As a student Zoe trained at The Royal Ballet School Associates, The Legat School of Dance and Elmhurst Ballet School where she completed her RAD, ISTD and BBO examinations up to Advanced 2 RAD. Whilst training and performing she gained a wealth of knowledge from many different teachers and coaches which she is now able able to pass onto and inspire her students with. During the last two years Zoe has had the opportunity to teach at Central School of Ballet and The Royal Ballet School in their lower, upper school and associate departments. Over Christmas she lead rehearsals during The Nutcracker at The Royal Opera House with the White Lodge students. Zoe is currently a cover teacher for The Royal Ballet School Associates and additionally teaches at Central School of Ballet Juniors, Brighton Ballet School, Ballet Boost Associates, The Roshe School of Dance and is delighted to be joining Inspire Ballet & Dance in September. Hannah started studying ballet at the age of three with Mr John Dowson in Cambridgeshire where she completed her RAD examinations, she moved to London after gaining a place to study Contemporary dance at the highly reputable Trinity Laban Conservatoire of Music and Dance. Hannah trained under Susan Sentler, Fred Gehrig and Ellen Van Schuylenburch, Julia Gleich and Gary Lambert, Teresa Kelsey and Hilary Neethling graduating with Honours in 2015. 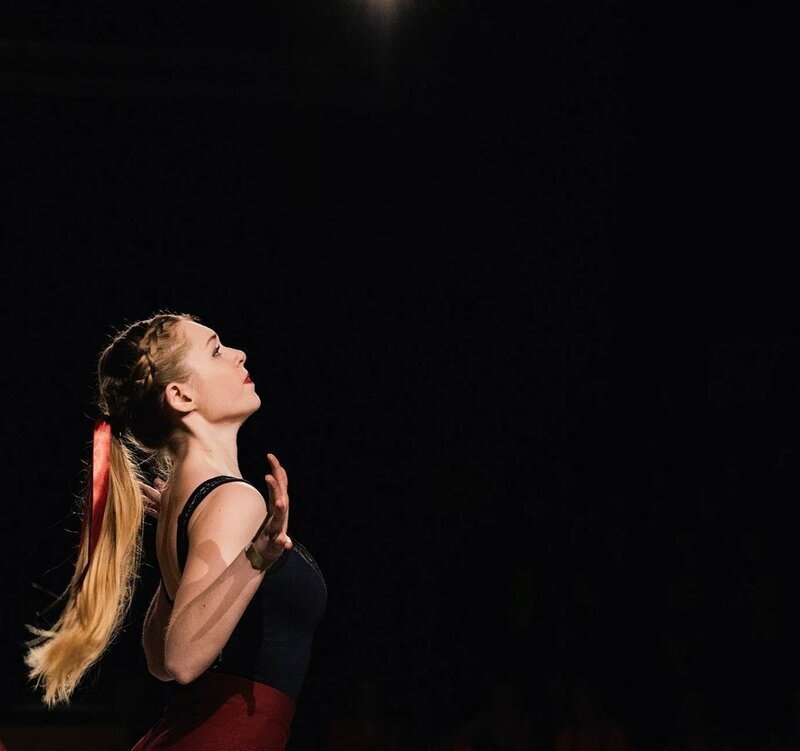 Hannah has gone on to perform with Wayne Mcgregor company members and graced the Adelphi Theatre with Watts Dance alongside The Royal Ballet, Matthew Bourne, Mariinsky Ballet, Ballet Black, Akram Kahn and Wayne Mcgregor Company. More recently she performed at Resolutions 2018, again with Watts Dance and she continues to perform, create original and boundary-pushing choreography choreograph and collaborate with musicians, visual artists, film makers, and various other artists today. Alongside her performing Hannah has dedicated herself to teaching & is currently Mrs Samantha’s Shadow! She believes that the arts should be available for any child to enjoy as a means of expressing themselves and cherishes the opportunity to inspire this kind of learning. As well as teaching ballet at Inspire, Hannah works closely with musical theatre schools as a classical ballet teacher which has given her the opportunity to become a member of a faculty full of West End professionals, with students now auditioning and beginning to become involved in professional productions. She has taught various summer schools across London and has also worked closely with rhythmic gymnasts to provide them with a grounded classical technique. Having recently relocated to London, Emma is delighted to join the Inspire teaching team as a friendly, enthusiastic and dedicated teacher. Emma is a multi-talented dancer, choreographer and teacher with a rich background in Ballet, Tap, Jazz, Contemporary, Lyrical and Gymnastics. Her experience in RAD, Cechetti and ISTD methods enables her to provide varied & insightful training. Since she began dancing at a local school in Warrington, age 4, Emma’s passion for teaching and choreography has won awards at national competitions and the proud title of ‘President of the Dance Society’ at Sheffield University (2013-16). In addition to her dance career, Emma is a Marketing Executive for Pan Macmillan Children's Books & sometimes helps out in the Inspire School Office too! Emma absolutely adores dancing, is an excellent teacher and is highly personable making her an ideal member of the Inspire Ballet & Dance Faculty. Laura Luo Lin Tham was first called to the allure of the stage at the age of five. More than just the appeal of pink slippers and tutus, it was the joy of free movement that guided her in the direction of dancing at the Sylvia McCully School of Dancing (Singapore) where she continued her classical ballet training and has since been teaching the RAD syllabus in the school for 10 years. Laura has obtained high distinctions for all her Royal Academy of Dance (RAD) Higher Grades to Advanced level examinations. Laura also graduated with a Diploma in Dance from Nanyang Academy of Fine Arts in May 2009 and had taught classical ballet, contemporary dance, lyrical jazz, baby gymnastics and acrobatics at various other schools such as L'Académie de Danse (Singapore's only French, international ballet school under the direction of Ballet Master Jonathan Guillarme), montessori schools and primary schools. Besides teaching, Laura has a strong belief in enriching her experience as a teacher by undertaking projects as an SAF Music and Drama company Part-Time Dancer. She has represented Singapore as a Dancer in an ASEAN Youth Summit as well as being involved with the Esplanade da:ns Festival, Third Space series as both dancer and choreographer and NAFA’s dance diploma showcase, “Crossings 2007-2009”. Laura is currently a final year student at the Royal Academy of Dance, doing her BA (Hons) in Ballet Education and Licentiate of Royal Academy of Dance. She most recently received the Winifred Cullis Memorial award by the Royal Academy of Dance, Faculty of Education, for exemplary achievement and positive support towards peers. Laura believes in caring for each and every one of her students by giving them personal feedback, encouraging her students to express themselves and achieve better self-esteem through dance. “ Miss Samantha celebrates every success, and appreciates every little effort of her students and staff; working for Inspire has been an invaluable experience and I look forward to teaching in this beautiful environment every week." Francesca is an Italian Ballerina who’s passion for dance began at the age of 6! Before long she was accepted in to the Russian Ballet Academy in Genoa where teachers from the Bolshoi Ballet Academy helped her to refine her ballet, Jazz, gymnastic & character skills to a professional level. Competing internationally and enriching her talent with world renowned workshops, Francesca knew her career had to be in dance. Several years ago she moved to London to follow her dream of teaching in England and further developing her skills with the Royal Academy of Dance and the Imperial Society of Dancing. Alongside her teaching and studying, Francesca specialises in teaching gymnastics. Her rounded experiences and knowledge of different methods, together with her deep love for the art and warm Italian nature makes Francesca a wonderful role model & an ideal part of an Inspirational Teaching team. Hannah has been dancing from the age of 3 with at her local school in Oxford. Alongside completing her Royal Academy of Dance (RAD) grades from Pre-primary to Advanced 1 she has also been assisting with the lower grades for the last 10 years which is where she really developed a love for teaching and witnessed the the wonderful effect dancing can have on young students. She has also trained with the Cecchetti Associate Program, Danceworks International Ballet Academy and English Youth Ballet to gain as broad an insight to the world of ballet as she can, gaining experience in all the different ballet styles and teaching techniques. She has recently moved to London in September to start her training on the BA (hons) Ballet Education and Licentiate programs offered at the Royal Academy of Dance. Hannah is thrilled to work in such a positive and supportive environment and has a great belief in the joy and confidence it can bring to any student, no matter their age or ability. Norma Jean did her professional training at Performers College on the 3 year Musical Theatre course and received her Trinity National Diploma. She has worked extensively in the arts in various areas, such as Musical Theatre, Studio/Session Singing, TV, Film and was involved with the tour and documentary of former X Factor contestant Rhydian Roberts. In 2014 Norma Jean decided to take a little break from performing and put her focus on teaching and ran her own school in Dublin, Ireland. She discovered a true passion and love for teaching, but missed London and performing so much she has decided to combine the two. Since returning to London, she has been freelance teaching at many schools, most notably the Royal Academy Of Dance Headquarters in Battersea Square. She is delighted and thrilled to be part of the faculty at “Inspire-Ballet and Dance” and is looking forward to getting started and meeting you all. Originally from Toronto, Rachel began her training at Academy of Ballet and Jazz before going on to graduate from dance programs at George Brown College (classical), Centennial College (commercial), and the Broadway Dance Center in NYC (ballet and theatre concentration). Some highlights of her performance experience include the Pan Am Games Closing Ceremonies, Nuit Blanche (Expect Theatre), the Inspire Awards, the Premier Awards, and Fever After Dark: Eclipse (Dark Dance Company). Having completed Dance Educators International's Dance Teacher Training Intensive, taught and assisted various classes in Toronto and assisted beginner ballet at French Woods Festival of the Performing Arts in New York, Rachel is happy to call London home for the time being and ecstatic to now have her own class at Inspire Ballet & Dance.